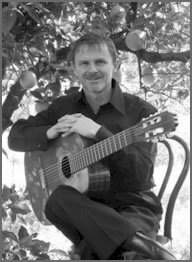 Since the success of his well received and highly acclaimed album, Spanish Inspiration (2003), Phil Moran has been regularly performing in Sydney and throughout New South Wales. His performances have included numerous solo recitals and appearances as a soloist with local Sydney orchestras. Highlights of Phil's performances included a sell-out solo recital for the Hunter's Hill Music Club, with guest artist Jane Rutter, and the Phil Moran and Friends concert at the Sydney Conservatorium of Music, which was described as a "charming and expressive presentation". When he is not performing as a classical guitarist, Phil is a devoted teacher of guitar, privately and as a lecturer at the Wesley Institute for Creative Arts. Vacancies are available for 2012. Click on tuition for more info. "What strikes one immediately from listening to Australian guitarist Phil Moran is his excellent tone quality, a feature which is full of richness and character. This, and a quite able technical ability has produced a new CD release, his second, where his inspirational and impressive musicianship shines through like a beacon." 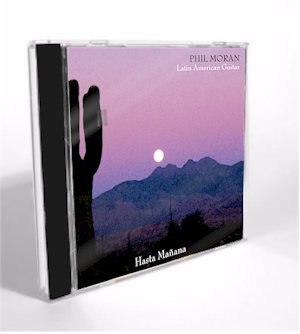 La Paloma, one of the tracks from the new CD, has recently been aired on Macca's Australia All Over. During October & November 2010 this much-loved song was played a number of times and obviously struck a chord with listeners, who have responded by ringing the station asking where they can obtain the CD. Phil wishes to thank Macca for his support and to the listeners who have purchased the CD on line or sent a cheque in the mail. There have beeen some lovely letters from all over regional Australia expressing how much they have enjoyed Phil's interpretation of this timeless classic.The track was voted into Macca's Top Ten of 2010.